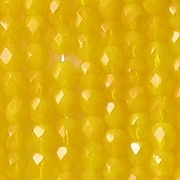 All fire-polished beads have some imperfect facets. 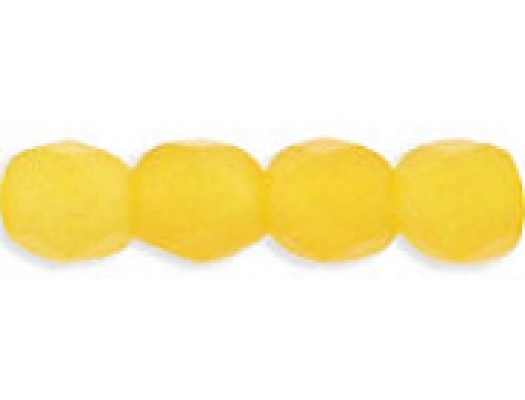 My picture is a little dark. 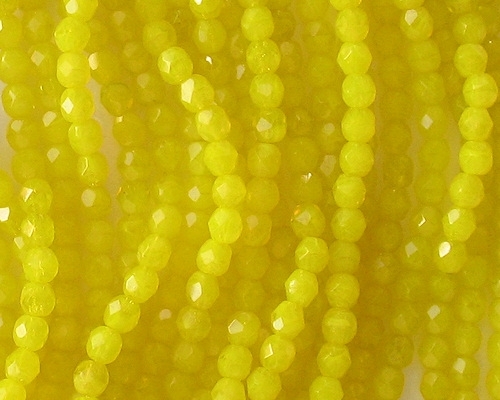 The beads are incredibly bright, and my picture made them look like a mass of yellow, so I had to darken it. 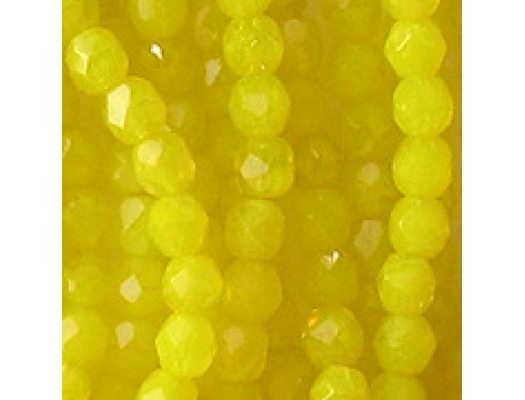 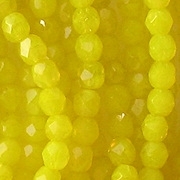 When yellow is darkened, it starts to look green, but there is no green in these beads.